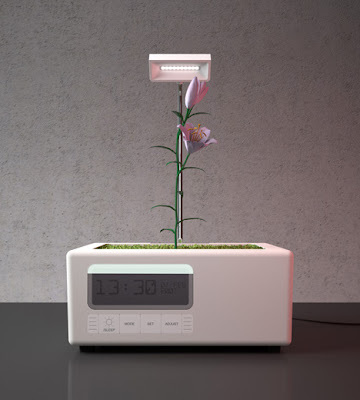 By re-fusing the alarm into the plant’s living environment, this product creates an experience which links the daily growth and advancement of the user’s life, with continuous growth of the plant. Light sources are activated as the user’s alarm activates, and turns off manually when the user goes to bed. When the user is awake going about his/her day, “growing”, so is the plant. 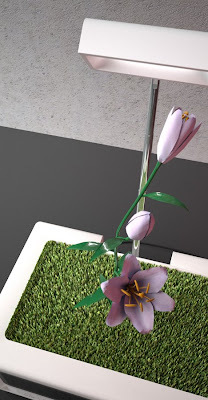 The product also helps to promote the indoor growth of plants regardless of the availability of natural sunlight. Studies show exposure to LEDs encourage photosynthesis. LEDs provide a sensible solution to energy efficient artificial lighting. Can you say KUSH CLOCK! Thanks to Jason Kline for this dope little creation.